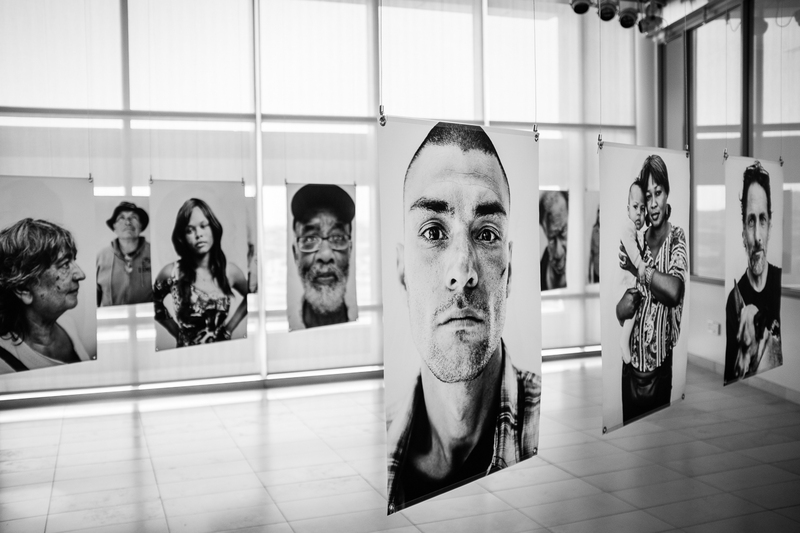 It’s been quite some time since we’ve updated this page, but we’re happy to announce that the (In)Visible Project will be on display in the main library at Cal State University – San Marcos, through the end of the year. This is the first time the project has been shown in almost five years! It will serve as a jumping-off point for some discussions on campus around student homelessness in the CSU system. A recent survey has shown that one in 10 California State University students are currently experiencing, have experienced, or are on the verge of experiencing homelessness. The installation will be up from Sept 12 – Dec 16, 2016. And Bear will be participating in a panel discussion, “Conversations that Matter” in the library on October 20, at 6pm. We hope you can make it!